Mac OS X 10.6.2 has finally arrived and it brings tons of new bug fixes for existing OS X Snow Leopard users. 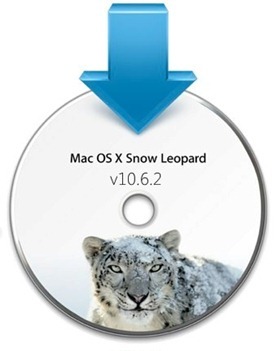 This new 10.6.2 Update is highly recommended for all the current Snow Leopard users and includes general operating system fixes that enhance the stability, compatibility and security of your Mac. It also includes the fix for the critical issue that caused data to be deleted when using a guest account on the system. Here is the official change log for 10.6.2 update directly from Apple. The new Mac OS X v10.6.2 update can be downloaded and installed from Software Update in OS X or optionally from the standalone installer through the download link given below. hello, i have a Mac OX X, version: 10.5.8, if i download and install “Mac OS X Snow Leopard 10.6.2” am i gonna run into any problem? and if i do install this new version, am i gonna lost all the datas that i have on my mac? can we download MAC OS X…? from where we can download it…? Where can I download it for a commodore 64? Or my Atari?